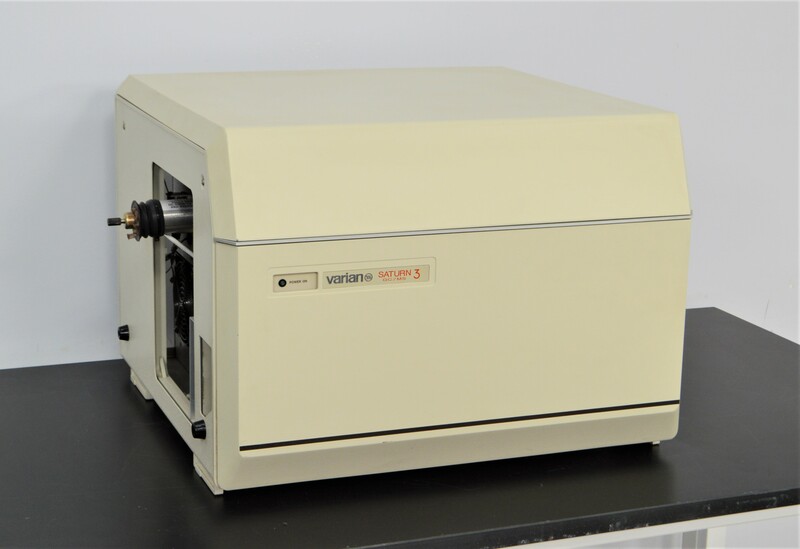 Varian Saturn 3 GC/MS Mass Spectrometer VOCs Gas Chromatography . New Life Scientific, Inc. This Varian Saturn 3 GC/MS is in good cosmetic condition with minor wear and age. This instrument is untested, but the internal components appear complete and in good physical condition. This Varian Saturn 3 GC/MS would be a great choice for anyone looking for a well-maintained, fairly price GC/MS that can be repaired or used for parts. 23 x 22.5 x 16.5"